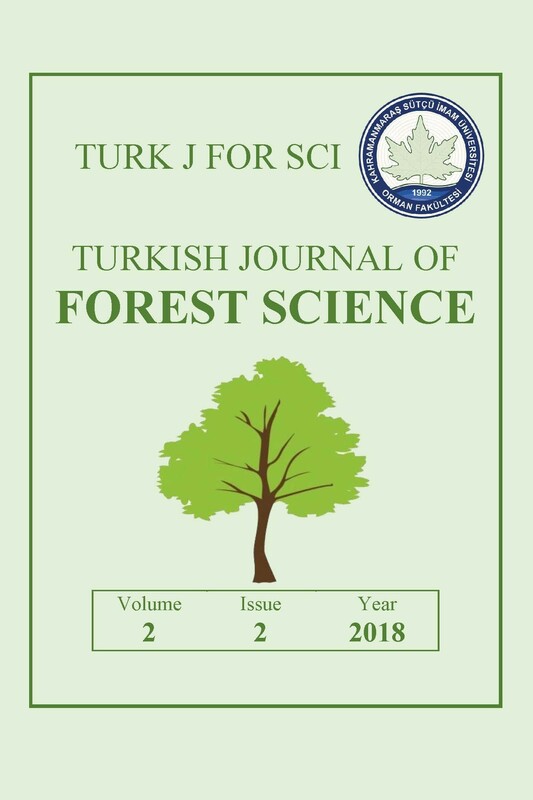 Turkish Journal of Forest Science is an online, open access, international, and double-blind peer reviewed scientific journal, publishing original research articles concerning all aspects of forest engineering, forest product engineering, wildlife ecology and management and landscape architecture. In addition to original research articles, review papers are also welcomed. Any manuscript submitted for publication in the Journal is evaluated by two anonymous reviewers after the Editor's preliminary review. Peer-Review process will not be begun if the manuscript is not written according to the journal's author guidelines or the paper is beyond the scope of the journal. Manuscripts written in English or Turkish are welcomed by the journal, which will be published biannually in April and October. ﻿Manuscripts must be submitted on the understanding that they have not been published elsewhere and are not currently under consideration by another journal. Before submitting to Turk J For Sci, please use our journal's template to prepare your manuscript; Please click HERE to download the journal's template. Turkish Journal of Forest Science requires ORCID ID for all authors. If you don't have it yet, please create one at https://orcid.org/register. Please do not forget to save your 16-digit ORCID ID in your dergipark profile. Starting from March 29, 2018, please be advised that all manuscripts submitted to TJFS will be subjected to the plagiarism detection software, iThenticate. Manuscripts found to have similarity index of 25% or above will be rejected and authors will be appropriately informed. There is no fee or any kind of charge for publication in TJFS. Our Journal does not charge for article submission, processing or publication. © 2019 Submitted by the authors for open access publication under the terms and conditions of the Creative Commons Attribution (CC BY) license.